Control your favorite episode of 99% Invisible from the wrist. 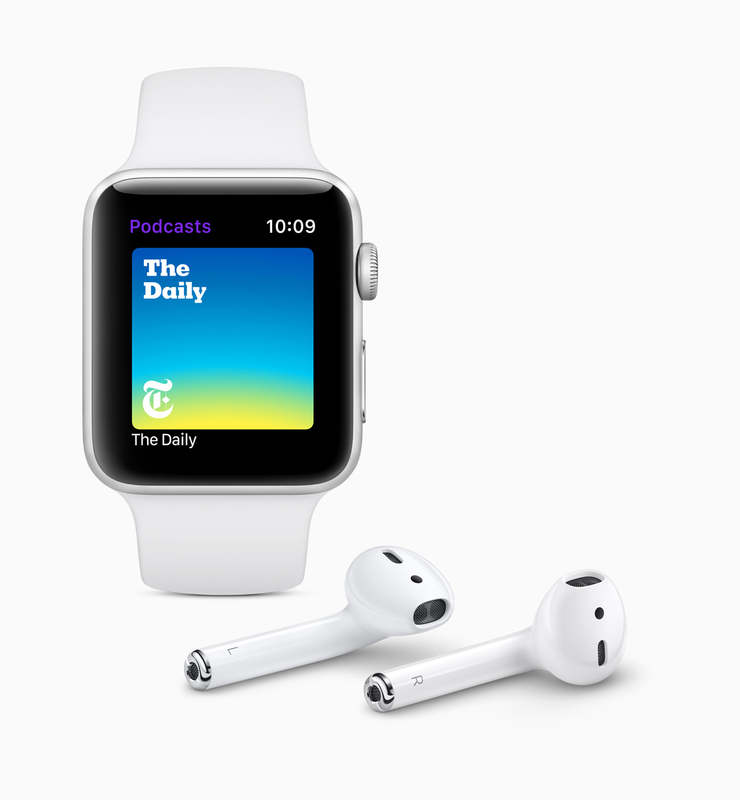 If you love Serial or This American Life, good news: Apple is bringing its homegrown podcasts app to watchOS. That means if you're cycling, or out on a run, you can stay safe and control everything from your wrist. If you have an Apple Watch with LTE connectivity, it should also mean that you can leave your phone at home. That could be the useful if you're the type of person that uses podcasts to take a break from work and study -- and don't want to be distracted by a glowing or vibrating iPhone in your pocket. Podcasts episodes should sync automatically, so when a new instalment of 99% Invisible is released -- or you finish an episode of The Daily on your iPhone -- that should be mirrored on your wrist. With watchOS 5, you'll also be able to ask Siri for a podcast episode. Which again, could be useful if you're cycling and don't want to take your paws off the handlebars.